Good morning, early birds. Liberal MP Craig Kelly has confirmed he will seek re-election as an independent, Kerryn Phelps is set to introduce a bill to evacuate children from Nauru, and late Indigenous artist Gurrumul is honoured at the Aria Awards. It's the news you need to know, with Chris Woods. 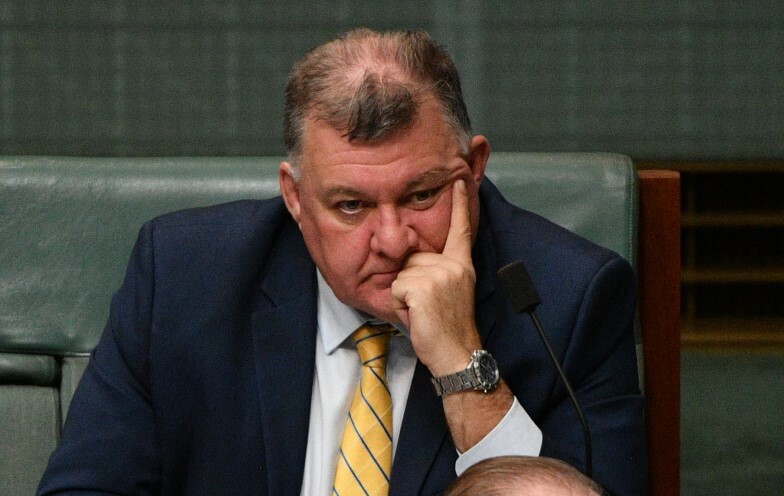 Liberal MP Craig Kelly has confirmed he will run as an independent at the next election, and, facing both a preselection loss from moderates and support from conservative factions, has not ruled out leaving the Liberal Party before May next year. After a day in which Coalition instability ruined plans for the G20 and a normal sitting calendar next year, The Sydney Morning Herald reports that Kelly is now top of the list for new defectors but does not intend to leave the party before Parliament wraps on December 6. 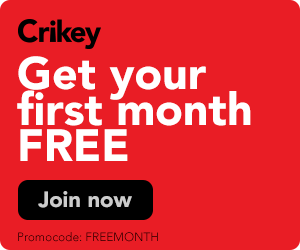 There are also rumblings over Jim Molan, who has been relegated back to an unwinnable ticket spot; Tony Abbott, who some MPs would like to see challenged by Wentworth hopeful Dave Sharma as a Warringah independent; and Julie Bishop, but due to routine leadership speculations ($). Speaking to The Australian ($), Liberal sources have laid blame for some of the chaos at the “invisible hand” of one Malcolm Turnbull. Speaking of Wentworth, independent MP Kerryn Phelps will introduce a private members’ bill next week to evacuate the approximately 10 children from refugee backgrounds still on Nauru, as well as force medical evacuations for critically ill adults. The New Daily reports that Phelps, who would have the support of at least three crossbenchers who tried something similar last month, hopes Labor will help force a debate on proposed changes to the Migration Act by Christmas. Phelps had criticised Australia’s system of indefinite offshore detention in her maiden speech on Monday, and campaigned at Tuesday’s Kids Off Nauru rally outside Parliament House. Singer-songwriter Amy Shark, late Indigenous artist Gurrumul, and pop band 5 Seconds of Summer were amongst the major winners at last night’s Aria awards. The Guardian reports that Shark took home three of her total nine nominations, including album of the year, best female artist, and best pop release for her album Love Monster. Gurrumul’s Djarimirri (Child of the Rainbow), the first album in an Indigenous language to top the Aria charts, was posthumously awarded best male artist and best independent release, while 5 Seconds of Summer took home three awards for best group, best Australian live act and song of the year for “Youngblood”. It was Mark Twain who said “Only fiction has to be credible.” But The Australian satirists outdid Orwell with their editorial today headed “Turnbull moderates blow up a centrist government.” A centrist government was blown up in August and it wasn’t done by moderates. If the former prime minister was upset about yesterday’s Oz conspiracy, he might want to give today’s front page a miss. Lawyer Nyadol Nyuon and academic Marcia Langton will meet with Independent MP Kerryn Phelps on the lawns of parliament to deliver an 80,700+ strong petition, which calls on Immigration Minister David Coleman to ban alt-right leader and Proud Boys founder Gavin McInnes from touring Australia. ACT Chief Minister Andrew Barr will open the ANU Energy Update 2018, an energy conference set to include a keynote from Australian Energy Council chief executive Sarah McNamara and a 2018 World Energy Outlook from International Energy Agency’s Ian Cronshaw from Paris. A cross-party committee is scheduled to deliver a final report on options for Indigenous recognition in parliament. The Multifaith Association of South Australia Inc will host expert-led forum “The Human Face of Climate Change – the real costs of inaction” at Parliament House. ANZ CEO Shayne Elliott will continue giving evidence to the banking royal commission, to be followed by Bendigo and Adelaide Bank chairman Robert Johanson. City of Melbourne Lord Mayor Sally Capp will announce this year’s Christmas festival with Federation Square CEO Jonathan Tribe. 82 additional Victorian emergency management personnel will leave from Melbourne Airport this afternoon to join the three deployed yesterday to assist local crews to manage more than 80 fires in Queensland. Melbourne UNESCO City of Literature Office and the Wheeler Centre will host hypothetical literary chamber event “Parliament: Melbourne, 2008”. War on Waste presenter Craig Reucassel will MC the 2018 Banksia Sustainability Awards. The NSW Auditor General will release a report into Central Agencies. Day one of the two-day Biennial Australian and New Zealand Third Sector Research Conference, to feature speeches from Australian Council of Social Service’s CEO Dr Cassandra Goldie, Commissioner of the Australian Charities and Not-for-Profit Commission Hon Dr Gary Johns, Labor Senator Catryna Bilyk and more. The Australian Reinsurance Pool Corporation will hold its third annual Terrorism Risk Insurance Seminar at NSW Parliament House. 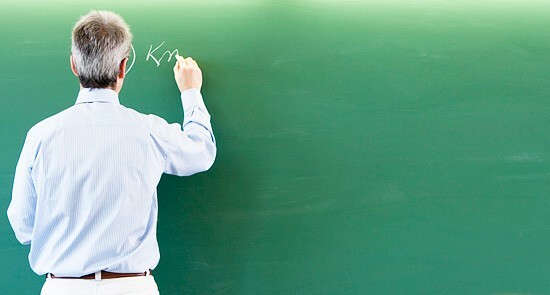 South Australian public school teachers will strike for half a day over stalled enterprise agreement negotiations. Independent Commissioner Against Corruption Bruce Lander is now expected to hand down his report into the operations of SafeWork SA. Welfare group SACOSS and others will host a joint media conference to raise concerns about the treatment of young drug offenders under the new Liberal state government. Presenter Lee Lin Chin will host the 12th Asia Pacific Screen Awards. Bank of Queensland will hold its AGM.